Recently, I have noticed that my towels smell a little too ripe after just one or two uses. It’s not because we are especially dirty, it’s because I leave the towels in the wash sometimes and complete forget to move them out until hours later. By then it’s too late and the damage is done! I know I can not be the only person in the world that leaves laundry in the wash a little too long. If you say you have never done it, I call total BS!!! I am going to tell you how to get rid of the smell…stop leaving towels in the wash!!! Just kidding! The answer is so easy. Just add Vinegar into the tray you normally put in your detergent and wash the load at the hottest setting! 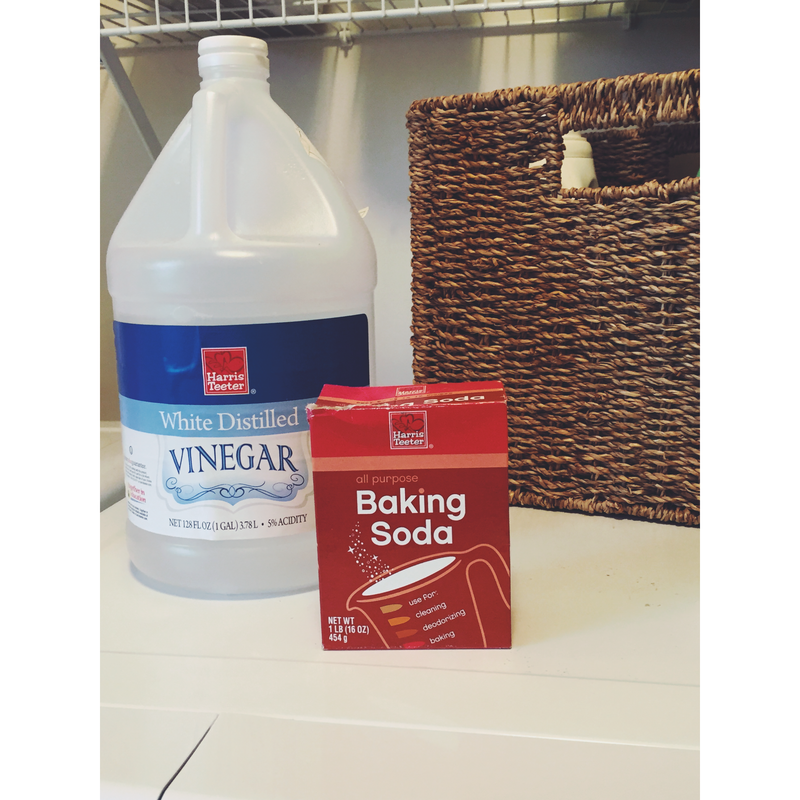 If your towels still smell then you can do another load with baking soda. My towels were definitely a little funky. Ok, pretty freaking funky, and I only had to do 1 load with 1/2 of vinegar. Afterwards I ran a regular load with detergent and GONE was the funk smell :)! It truly is so easy to do and does the trick! Share if this worked for you!!!! Let me just start by saying that I LOVED it! Not that it matters as much what I think of it as much as what my kids think of it. However, since I am the one reading it to him…it kind of does! The Ghoul on the Stool is a definite must have for the Halloween season. I can see this being one of the holiday traditions we stick with. 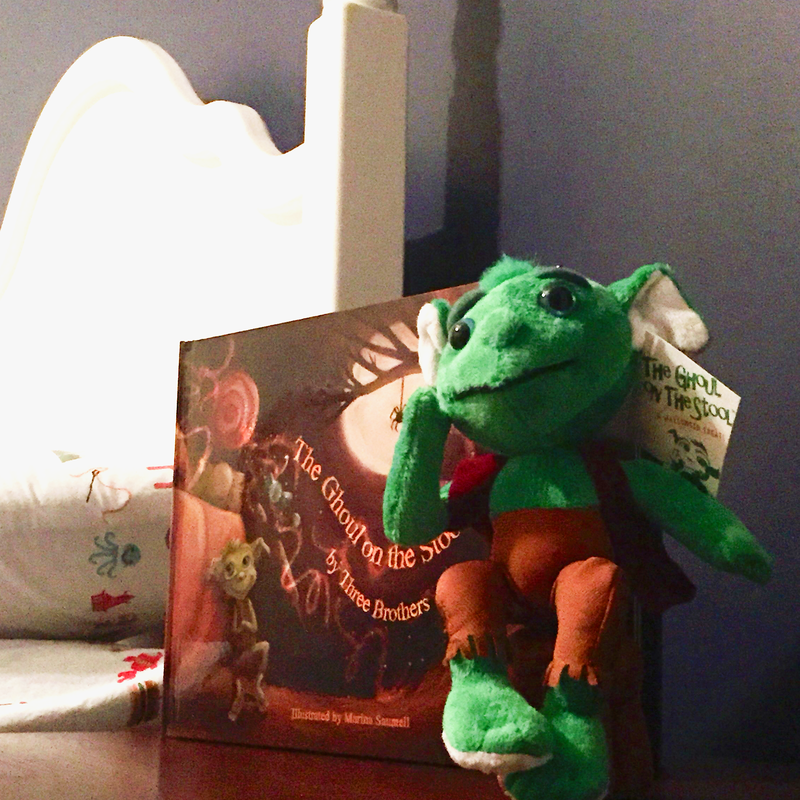 The book comes with a little push toy version of the ghoul who, if you guessed it, is sitting on a stool! 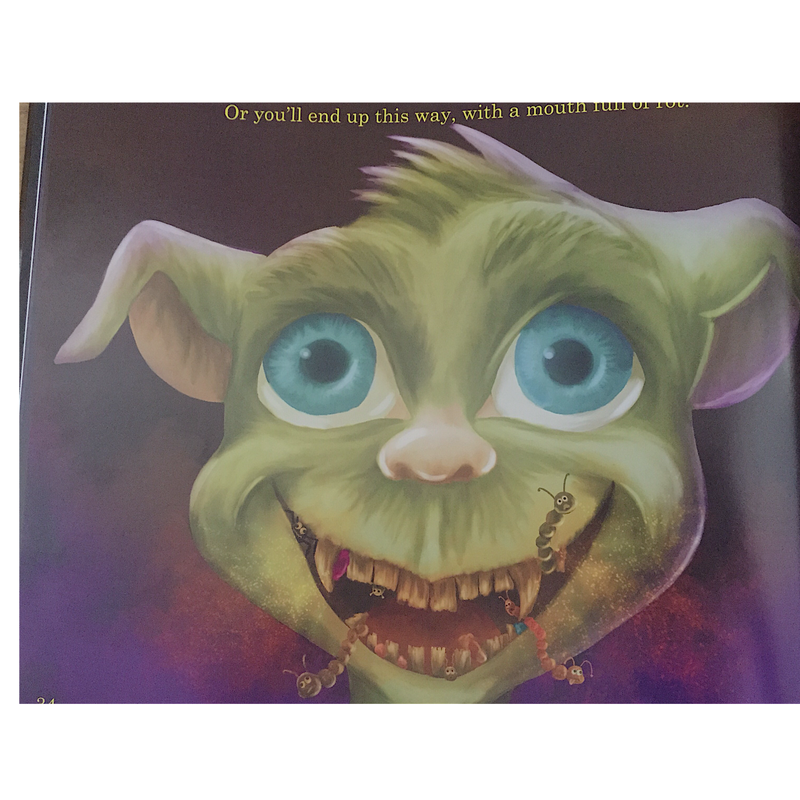 Not only does it a really cute story with an adorable little ghoul, but it has really good message and BEAUTIFUL illustrations! The ghoul comes from his candy filled cave, with his spider sidekick, to protect your Halloween candy. 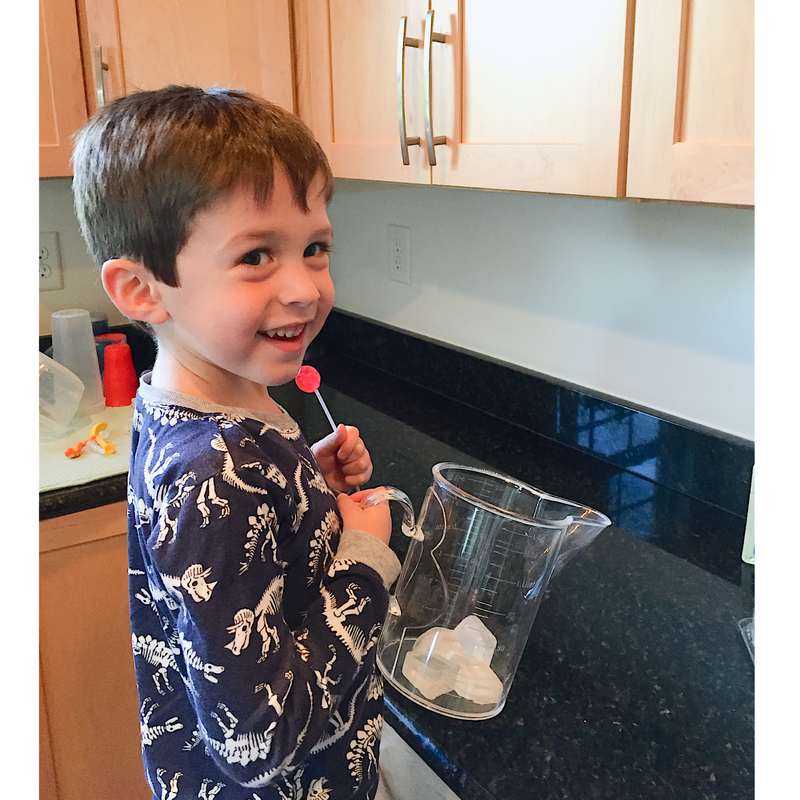 He is the keeper of all things holy to a toddler…CANDY! In order to ensure their candy is safe he plays little tricks on all that come near. It’s super cute and funny…especially to my 3 1/2yr old. Question 1: Do you like the book The Ghoul on the Stool? Colin: It was a good read! Question 2: What was your favorite part? Colin: Mommy, don’t take my candy Okay? You need to have your own. The ghoul will give you bright red, BIG red feet if you touch my candy okay? Question 3: So…What was your favorite part? Colin: The mommy and daddy getting big red feet! Question 4: Did you like the ghoul? or did you think he was scary? Colin: He was silly. He made a lot of silly faces. Question 5: Do you want me to read it again? Colin: No…I want daddy to! In short, you should order The Ghoul on the Stool !!! 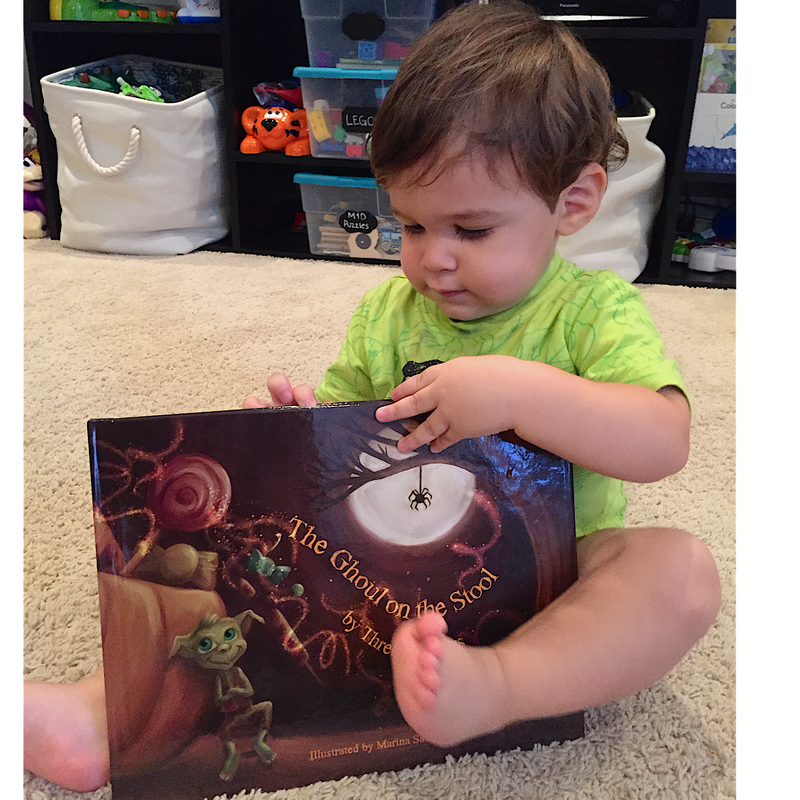 You and your children will enjoy this adorable book and Halloween tradition! Just about every night we use bathtub crayons during bath time. It is so strange that I can get them to color for at least 20min in the tub, but try and get them to color on a piece of paper for more than 2min…forget it!!! Maybe it has to do with them being confined ;). Anyways…the other day I was looking on pinterest and I found a pin for diy bath tub crayons. AMAZING! 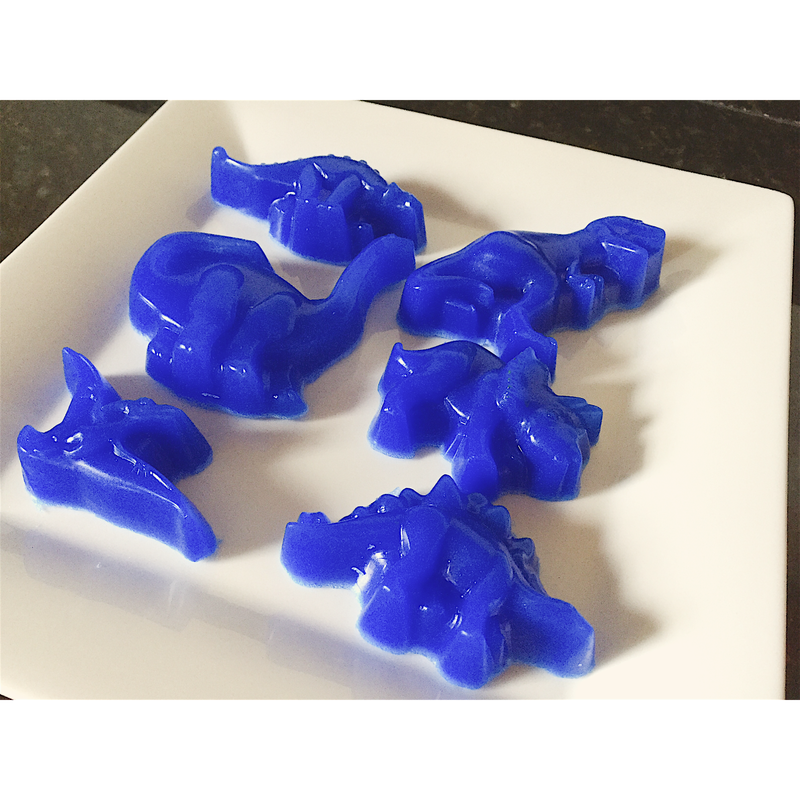 So, since we are in a dinosaur phase right now, I immediately thought of making dinosaur bathtub crayons. I mean, what else would I make right?!? They were so incredibly easy to make and look amazing when complete. 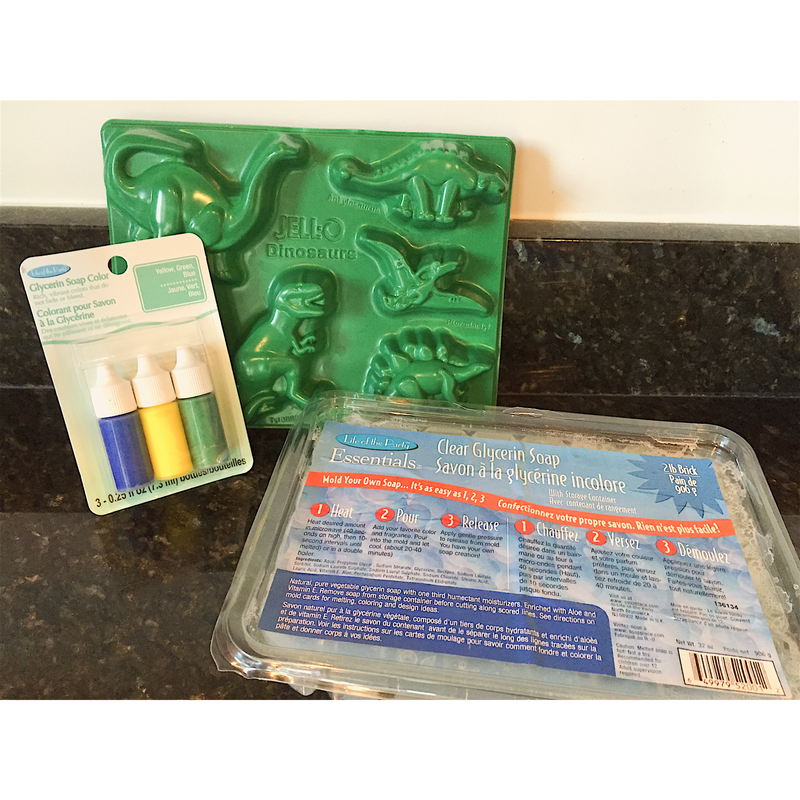 Best part… mommy is a total rock star today because I made dinosaur bathtub crayons. WIN!! 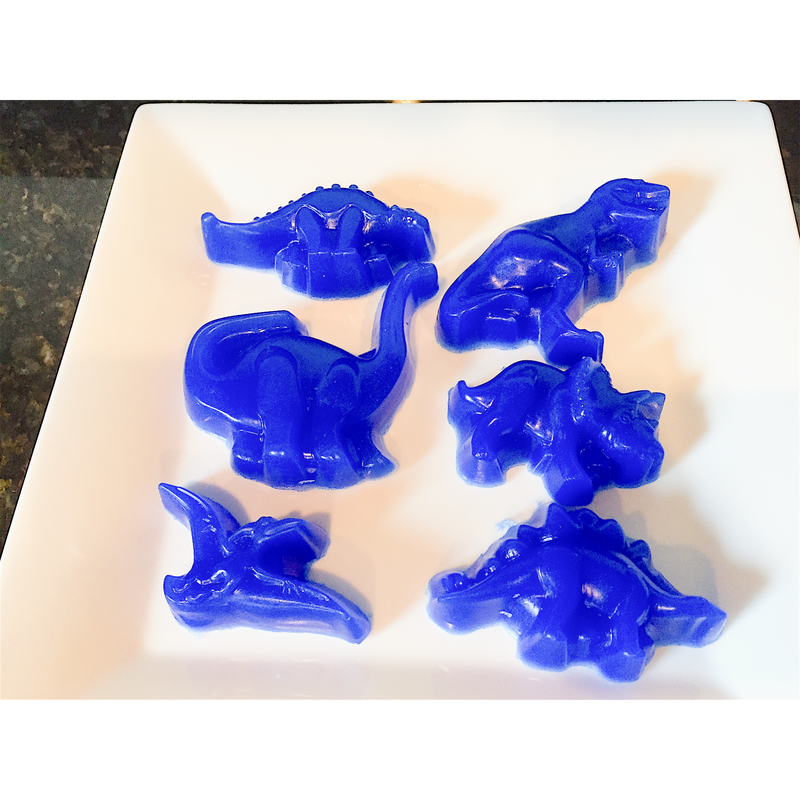 In order to make all 6 dinosaurs in the mold, you need to melt 10 squares from the package. Since it was my first time making them, I had to do 3 separate batches in order to fill them. Cut out 10 squares, place them in a measuring cup and melt them in the microwave. The instructions on the package said 20-40sec and if not melted keep adding 10sec until fully melted. 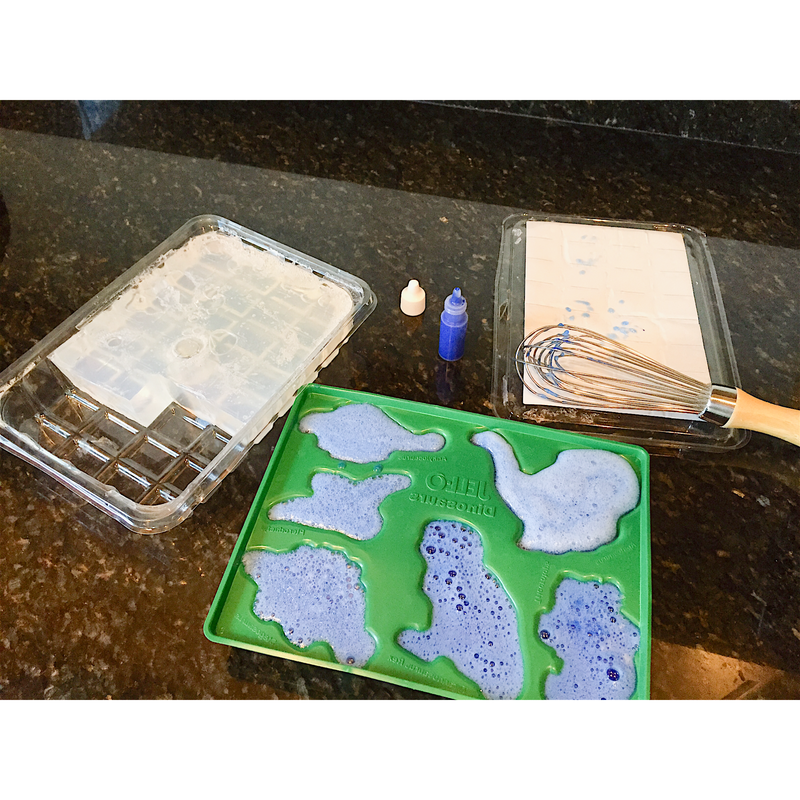 After the glycerin soap is melted, add in the coloring. For each square, I put in 8 drops of coloring. Hope you try them out with your little ones. Not only are they fun during bath time but we honestly had such a great time making them together :). Let me know if you have any questions about these!!! Yet another day of missing boot camp…ugh!!! This means I need to step it up at home and get a quick workout in. Below is just a quick 10-12min workout so at least I can say I did something today :). Try it out and let me know what you think! Keeping it real mommy style ;)!!!! With the stomach bug moving from kid to kid in my house, I have not been to bootcamp in days!!! Since I can’t go…I made up a little 9-10min circuit! It’s not too intense and it’s just enough to feel like I have accomplished something :)! 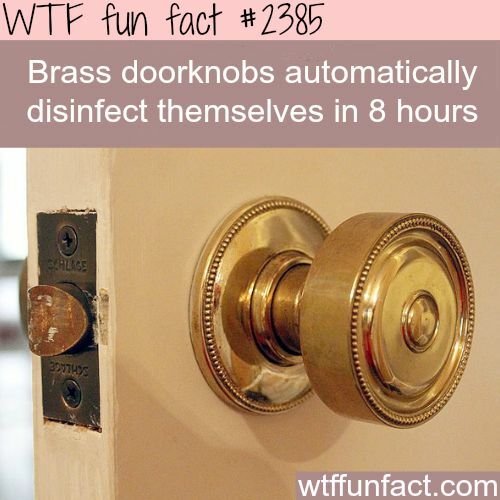 Why exactly don’t I have all brass in my house?!?! I think I can get over the appearance if it means less cleaning :). 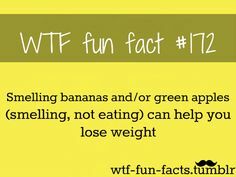 Bananas and green apples please!!!!!! I don’t know about you but I am always pinning “healthy” food recipes on pinterest and only actually making 1 out of 10 of them. Okay, maybe more like 1 out of 20! There are a lot out there that claim to be healthy and after looking at the ingredients you realize, they aren’t at all! And, if they actually are healthy, they taste like sh*t! I can not be the only one that makes the healthy recipes and have them crumble, turn into balls of mush, not look anything like the picture and/or just plain have them taste AWFUL! This girl is NOT chef by any means, but I can follow a recipe and let me tell you, there are a lot of recipes out there that should never be made…EVER! So, I came up with an idea to test out recipes from my pinterest food board. With the holidays coming up, this is the perfect time to test out different recipes and see which work and which ones don’t! Today I made a healthier version of a pinterest strawberry recipe. I think they turned out really good if I do say so myself. Not to say everyone will like them but if you like oatmeal, then chances are you will like these! My boys also really liked them so it’s a winner in my book! The muffin recipe below took me a total of 56min from start to finish for this recipe (getting all the ingredients together to the time they were out of the oven). It took so long because of all my real life distractions…dogs going in and out of the house and my two boys wanting to “help”. Everytime I make a freaking recipe it says “10min prep and 20min cook” which is such BS and so unrealistic for someone like me who has nothing but distractions all day! Anyways, because of how long it took me,next time I will double it so I can freeze extra and store. 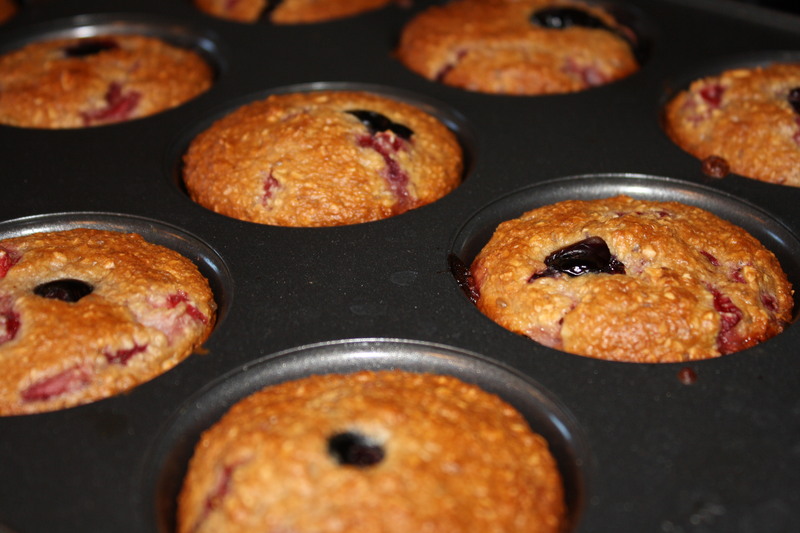 I found an article about freezing muffins that I will follow and at a later date, I will let you know how it worked out! 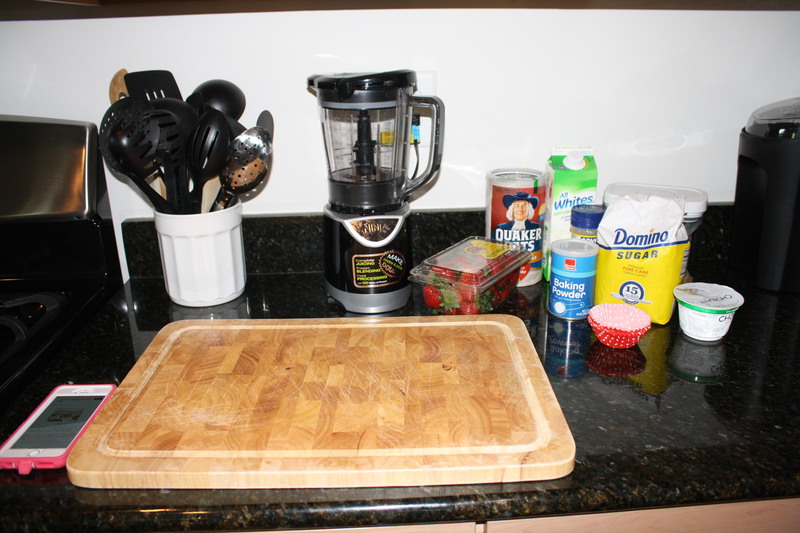 Add the ingredients, except for the strawberries, into a food processor and blend. 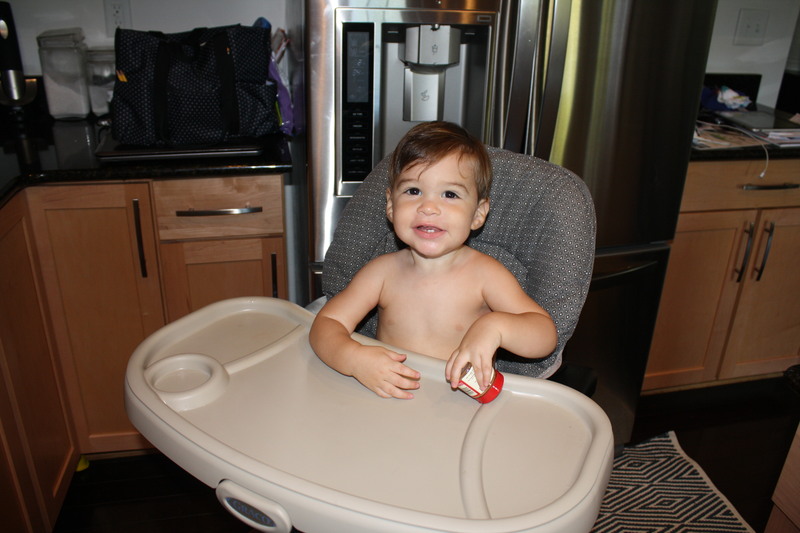 I have the Ninja Kitchen System Pulse (BL201) (love it!). In a large bowl, pour batter and fold in the strawberries. Bake for 25-30min. Test with a tooth pick. When it is dry, you know the muffins are done. It took mine 28min. Addition info: I also added one blueberry on top of each muffin just to add a special touch haha. 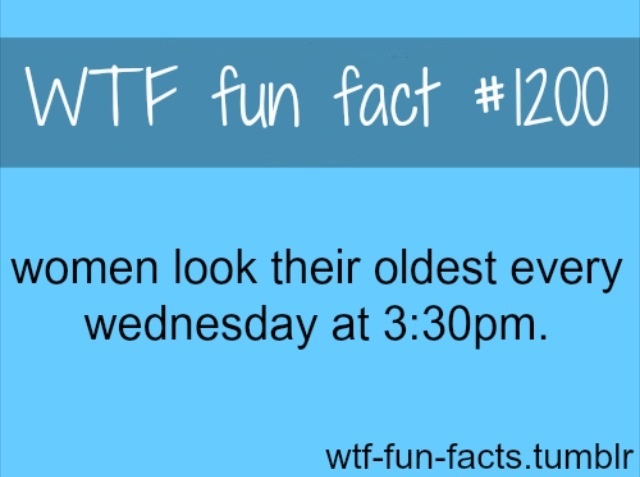 Also, don’t get scared if they start to brown quickly. When I was baking the muffins they turned brown very quickly and I thought I was burning them but they were perfect after the 28min! 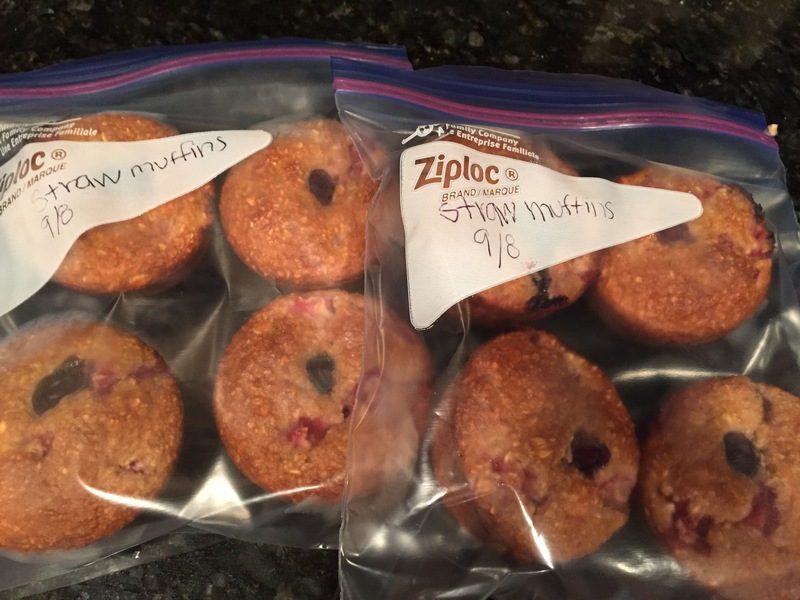 Note to self: Make sure to write on ziplock bags before putting muffins in. I obviously didn’t lol! Over the past few months, a lot of things have changed for me. With 2 little ones at home, I was, and still some days am, struggling to keep on top of things. My energy level was so low because I was constantly chasing after them, trying to clean, chasing after them, run errands and chase after them! Life with two little boys at home is not easy, I do not know how people manage with more lol. Anyways, I started working out a little more and started noticing how much better I left, how much more productive I became and how much more energy I had. Not only that but I felt so much happier! Happy mommy/wife makes for a happy everyone else, am I right?!? After hemming and hawing about it, I decided to try a 30day trial at boot camp and see how I could make it happen with my schedule. 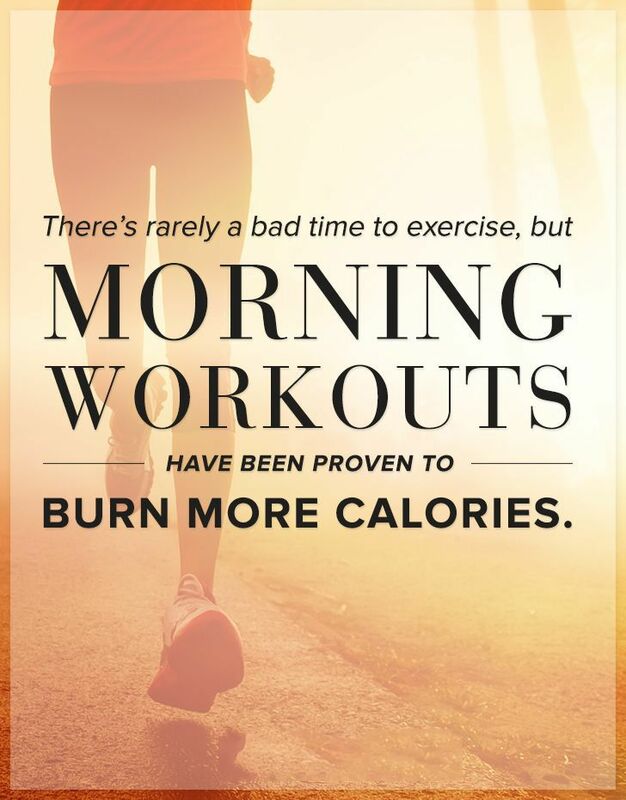 Some of my girlfriends go to the 9:30am and one went to the 5:30am…never have I been a fan of early workouts but I decided to give it a try since I was too tired at the end of my days to workout. The 9:30 classes offer daycare but it was in the middle of my youngest sons nap time so I decided to try the 5:30am class. It was hard at first but it’s what worked for me and my family. I have now been going to 5:30am boot camp for a little under 3 months now, 4-5 days a week!!! 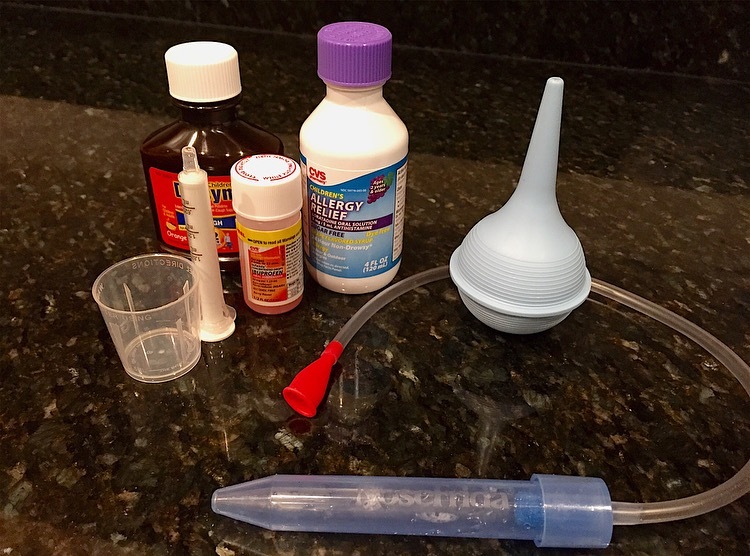 It is not realistic to think this routine will work for everyone because it won’t. However, hopefully you can take some of the suggestions below to make one that will work for you! 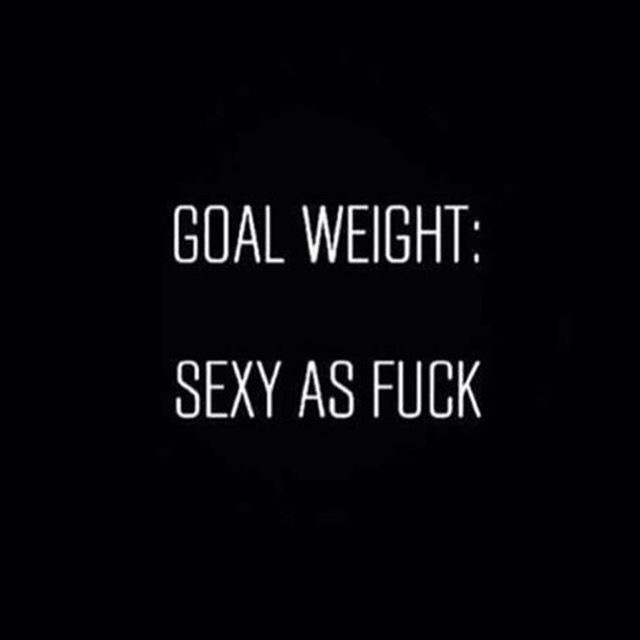 What is your fitness goal? WRITE IT DOWN. It could be losing weight, fitting into a certain pair of pants, toning up, increasing your energy, feeling better about yourself, etc. Just think about it and set up a routine to make it happen. If you have your clothes set up the night before then it makes the early morning wake ups so much easier. You don’t have to worry about stumbling around the house, half asleep, looking for your workout gear. Even if you don’t plan on early morning workouts, you should still set it up so the next day when you consider whether or not to workout, you will feel more inclined to since your clothes is already out, ready to be worn! This is a hard one, especially if you have kids, but it is important! You need 7-8hrs to be at your best. Okay, it’s prob more like 5-6hrs for me but I think I have just gotten use to no/very little sleep and being mediocre in what I do…hahaha! Mine is already laid out for me. I go to boot camp so I don’t worry about a routine. You may not like classes so choose what works best for you…going to the gym, running, doing a fitness video. Whatever it is, plan it out so you when it’s time to do it…you actually do it! 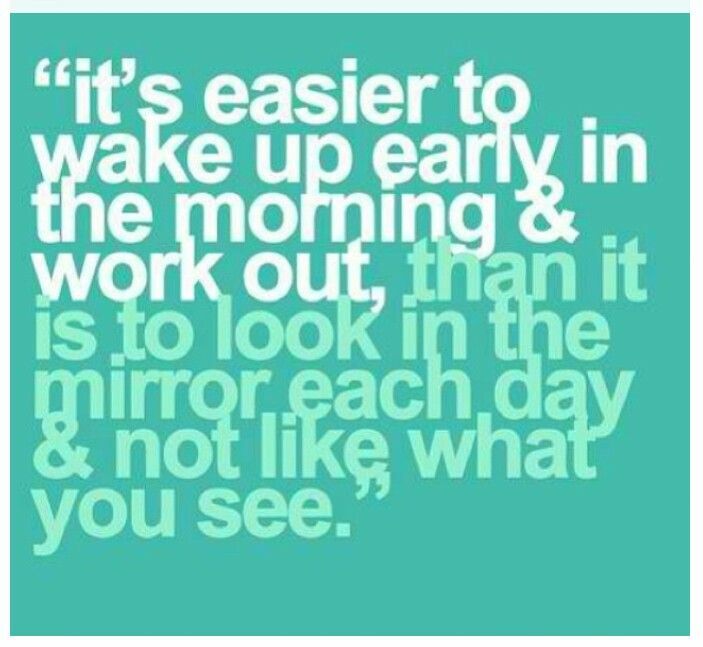 Whether it be paying for a gym membership or new fitness clothes, make it! It doesn’t have to be a lot, base it off your budget. But, do make it. It will keep you feeling invested and you are more likely to stick to your workout routine. For me this was easy. I had friends that were already going so that kept me accountable! When we wake up we text each other so we know the other is up and ready for class. However, not everyone needs a “gym buddy”, it’s just works best for me. If you don’t have someone you can workout with, ask some friends, go to the gym and make some “gym friends” or try and sign up for a class and meet some people that have some of the same fitness goals as you! You may try something for a week and find that it just doesn’t work for your life. Don’t give up on working out, just try working out at a different time! If working out is important to you, make it a priority, you will be so thankful you did! Hope this has helped give you some helpful ideas on how to make your fitness goal attainable!